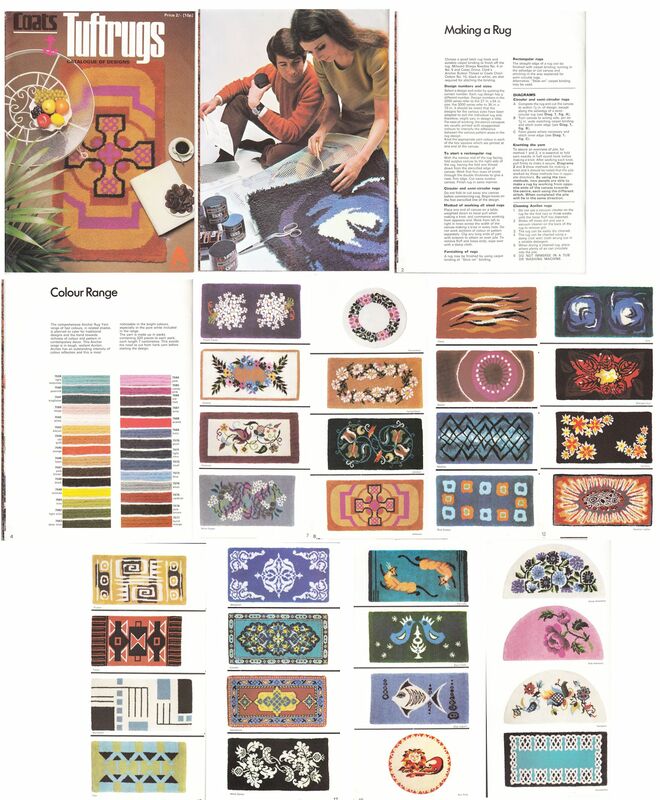 The main catalogue has a distinctly 1970s feel! The price shows it was prduced during decimalisation. 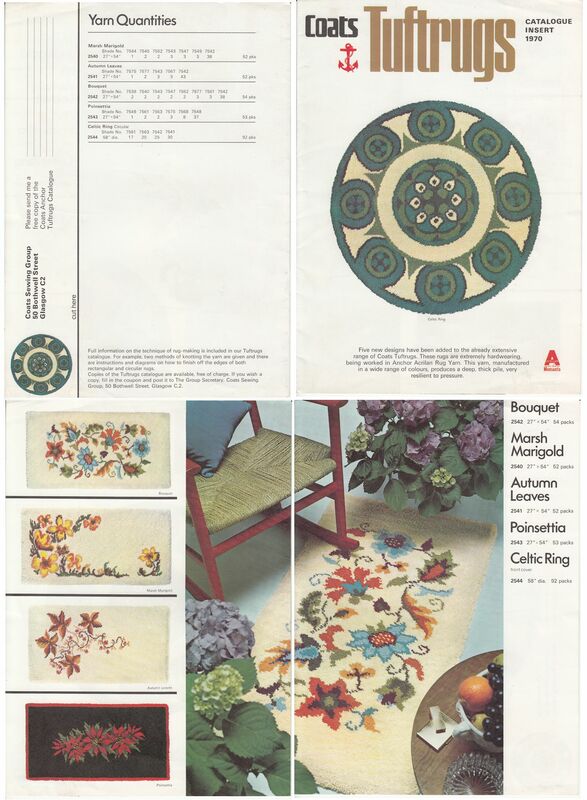 The insert is from a 1970 catalogue. The rugs were made using Acrilan rather than wool, which is perhaps why Coats chose to call them tuftrugs rather than latch-hooked rugs.